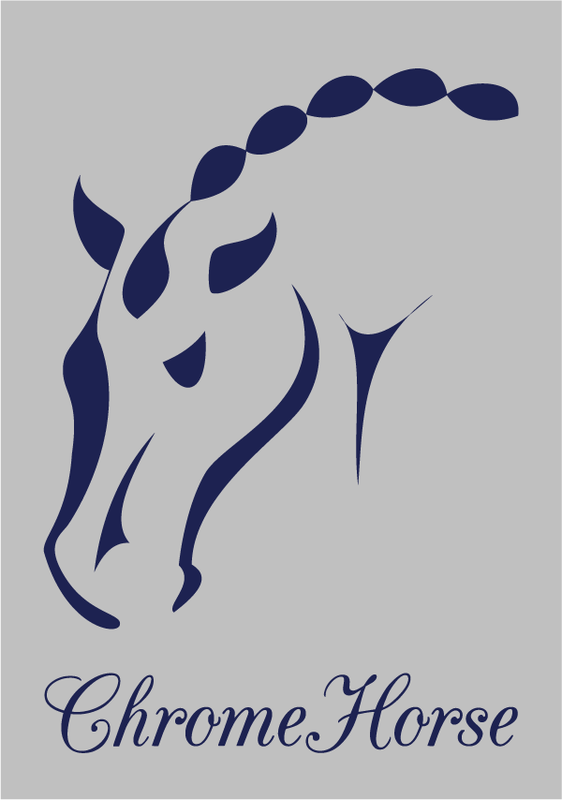 Being equestrian competitors and dog owners ourselves, our boutique prides itself on creating first class, personalized custom items that make your Chrome Horse product completely your own and exactly what you are looking for. 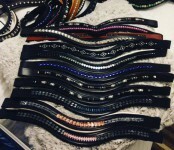 All of our browbands are high quality, soft supple leather. We will then work together to customize your browband to your desire. 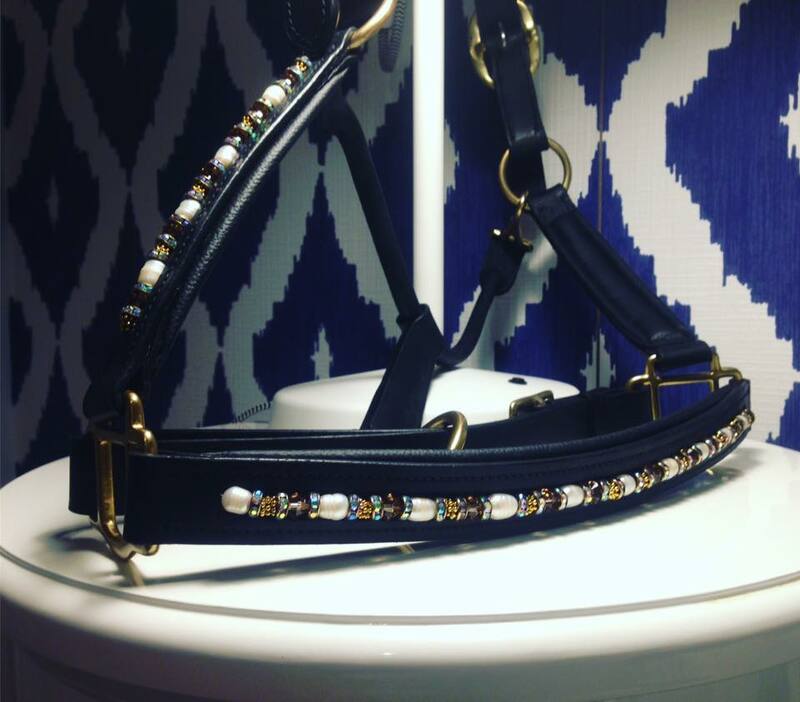 All of our beaded halters come in black or dark brown padded leather. These halters are soft and supple, and have high quality hardware. The halters have beads across the nose band and up each side of the cheek. We will then work together to customize it to your liking. All of our spurs straps are high quality black, brown, burgundy, navy blue and light tan leather in size 18″. There are two keepers on each, and charms are hand sewn for maximum durability. Our window charms are unique and individually hand made pieces. For this reason they will vary slightly from each other. 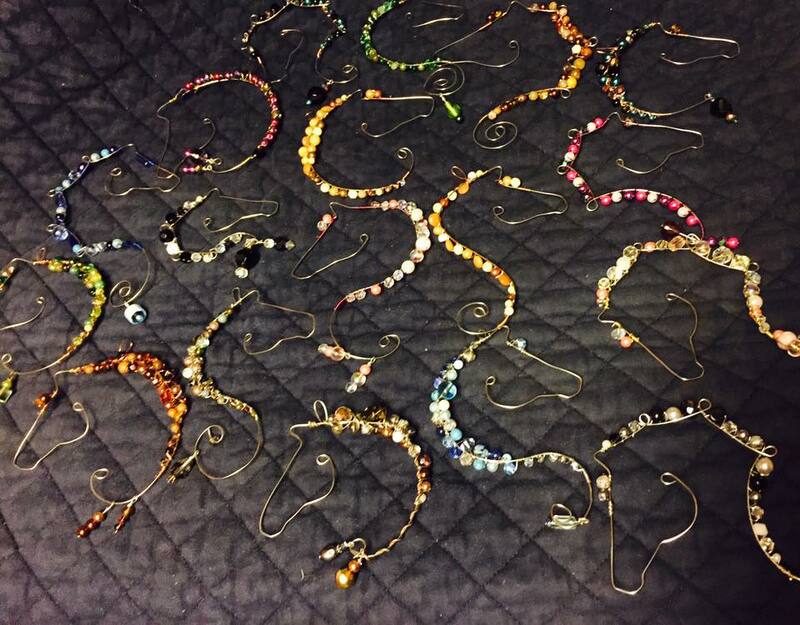 What makes our charm experience so unique is the ability to customize the beads and charms. 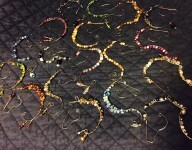 We currently have a variety of colours of wire. 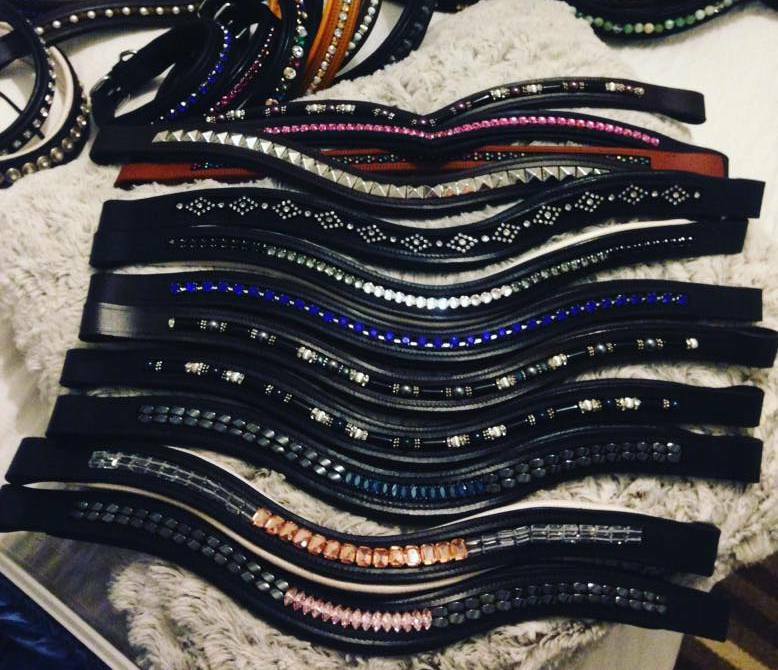 The goal at Chrome Horse Boutique is to provide the members of our equine and canine communities with high quality, custom tack and accessories for both them and their four legged partners. We create our artisan goods for the love of our animal companions, who undoubtedly deserve the best, and for their human counterparts who want to give them that. We only use the best materials in our range of products. All our beaded browbands, dog collars, spur straps, and halters are genuine leather and padded for maximum comfort. The beads are hand stitched onto our leather wares (not glued) with the utmost care to ensure the longevity of the pieces we create. The beads on all of our products are high quality glass, semi precious stones and genuine Swarovski crystal elements. 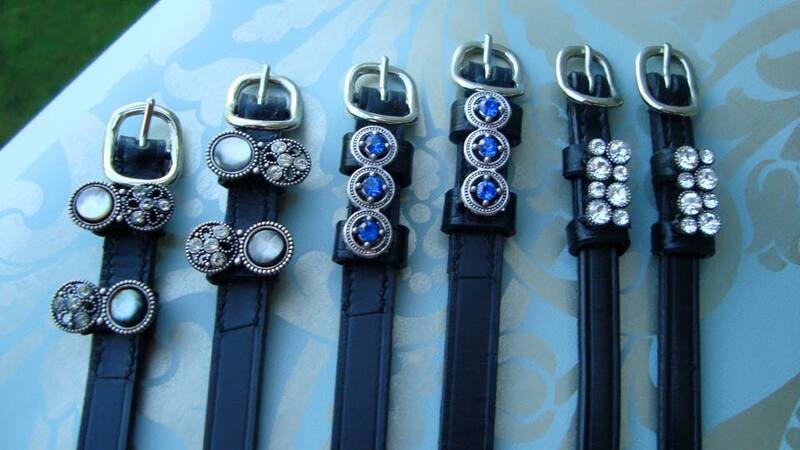 Our custom bridle and pet charms are built to last and completely handcrafted to ensure they are up to our standards. See our website and Facebook page for additional details and images.